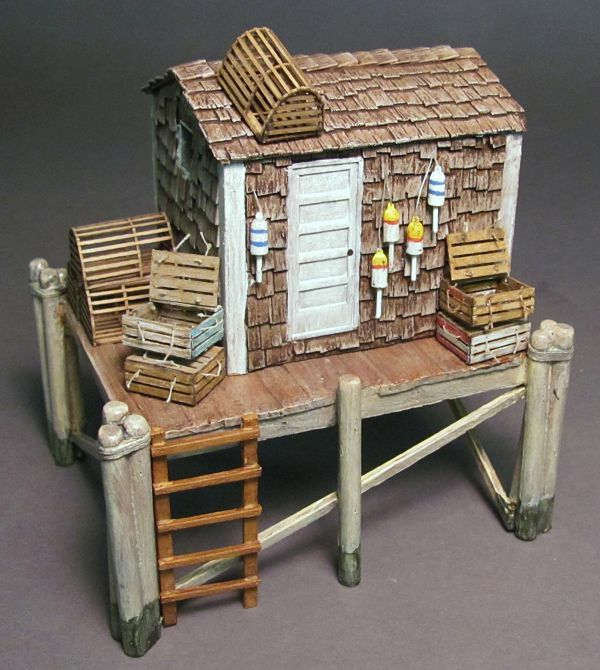 This kit represents the quintessential lobster shack seen along the New England coast line. These were where the lobstermen stowed and repaired their equipment and traps. They were commonly located along the shoreline or on a pier where he could tie up his lobster boat. 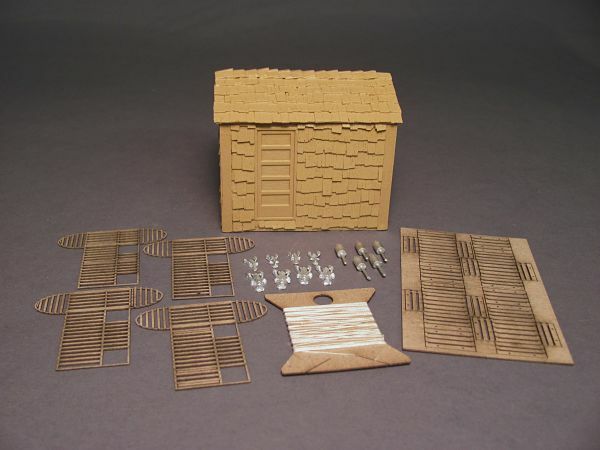 This kit consists of a one piece, hollow, resin building casting with all the shingles cast in place. 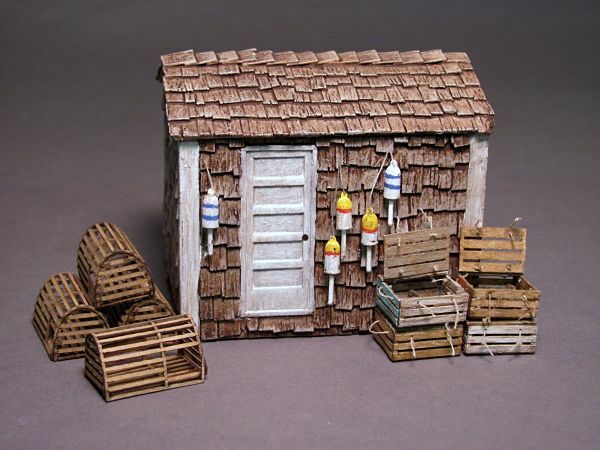 Each shingle was individually placed on the master to create an incredibly realistic shingled shack. 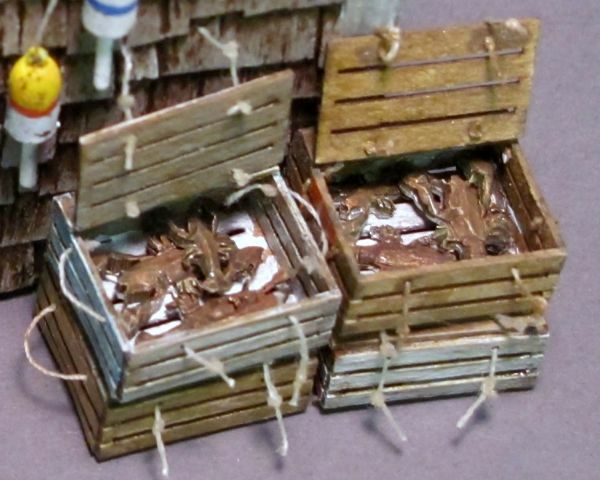 Kit also includes: 5 lead-free pewter buoys, 8 lead-free pewter lobsters (4 each of 2 sizes), 4 laser cut lobster traps and 4 laser cut lobster boxes. 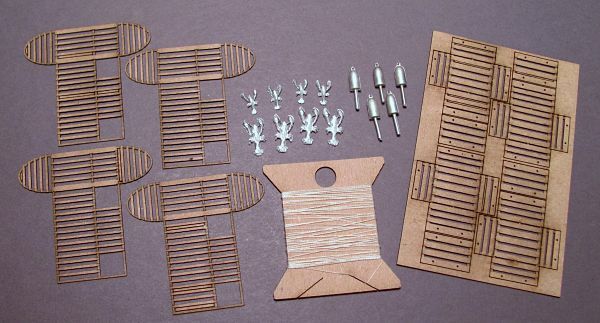 Laser cut traps and boxes utilize an easy, fold-up assembly method. Laser cut window material and rope (thread) also included. 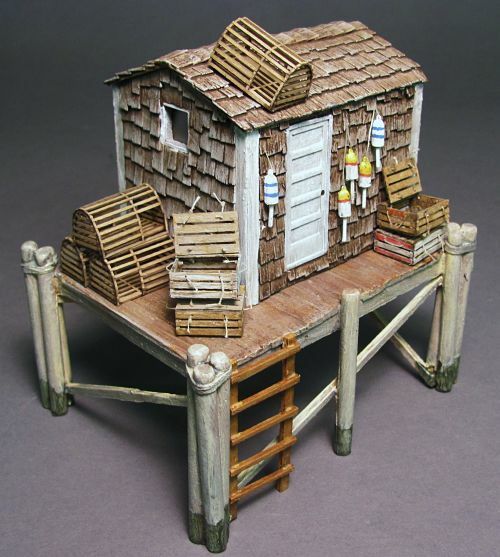 This is a beautifully detailed addition to your layout that can be easily completed in an evening's time. Partners perfectly with our O/On30 34' Lobster Boat kit sold separately. As an alternative, consider using this versatile building for any number of locations and uses. 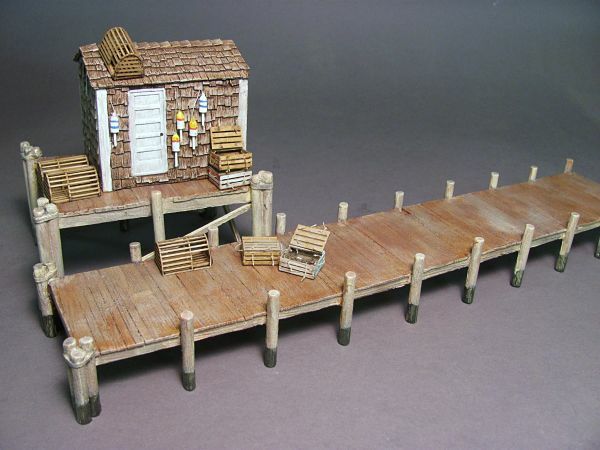 Also check out our piers, Sea Walls and Pilings as well!